Having the right materials for a project is more than just about dollars and cents. High end customers require the best materials, and when a builder signs on to a project, their reputation is automatically on the line. That is why in the building trades, especially on custom high end projects, relationships trump price. 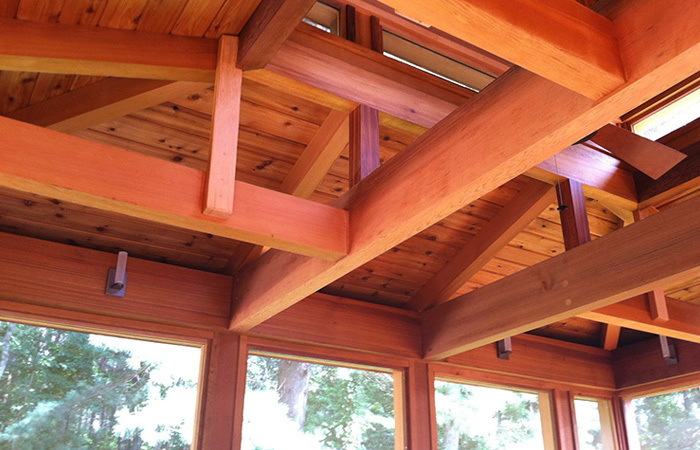 Recently, Mark Goetemann of Goetemann Custom Builders needed dressed red cedar beams for a high end project. 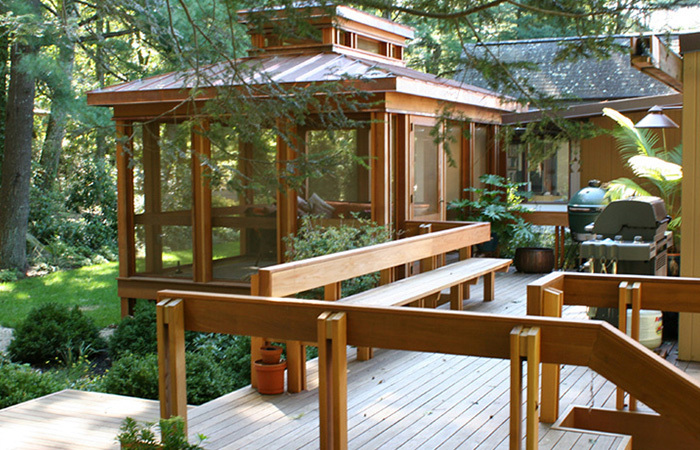 "My client commissioned architect Peter Sugar to build him a custom garden room. This turned out to be more like a backyard oasis than a garden room," remarked Goetemann. Additionally, landscape guru Roger Cook, of This Old House, created a 12' high water feature as part of the garden room experience. The facility at Feuer Lumber is capable of milling the high end red cedar beams dressed to Goetemann's specifications. "I have been working with Feuer Lumber for over 20 years. The reason I chose to drive up to Atkinson, NH is because of my relationship with John and his family. When I first met him he was operating his father's saw mill. John is a lumber guy, he knows what he is talking about because he comes from a lumber family," remarked Goetemann. Since 1953, Feuer Lumber has provided top quality lumber; custom cut mouldings, wood decking, machine pre-staining and PVC trim boards throughout New England. "We pride ourselves on delivering the best quality product in the industry," said John Feuer, CEO Feuer Lumber. "We are known for our specialty mouldings and our broad selection of lumber. We are able to source and work with materials that others either can't, or won't work with." Currently, Goetemann Custom Builders is working on a 5,000 square foot home in Lincoln. This home is a net-zero energy building, incorporating all of the latest building technology and high end materials to produce an incredibly energy efficient home. It is also clad in Cypress, which Goetemann Custom Builders sourced from Feuer Lumber. "Cypress is not a commonly used material in the construction trades," said Goetemann. "Cypress grows in swamps so it is extremely moisture resistant, it also has a long straight tight grain and takes a finish incredibly well. Cypress isn't often found in the big box stores, having a partner like Feuer I know I can get exactly what the project needs, and for a home this size I needed a lot of it."